UNSW established its presence in south western Sydney in 1989 following an agreement signed by the Vice Chancellor of UNSW and the Chairman of the Board of the South Western Sydney Area Health Service (SWSAHS). The agreement was to create a teaching Area Health Service and not simply a teaching hospital. It included the public hospitals of Liverpool, Fairfield, Bankstown, Campbelltown and Bowral as well as the associated community and public health services. In 1990, the first students commenced terms in south western Sydney as an integral part of their fourth year program involving community medicine and general medicine and surgery. All of UNSW’s medicine students rotated for a period of six weeks and were accommodated on the campuses across the south west. In 1991, approximately 20 were allocated for all of their clinical teaching in fourth, fifth and sixth years. Up to one hundred students were accommodated in facilities at any time in the south west. UNSW made a number of appointments including professorships in community medicine, pathology (conjoint), psychiatry, medicine, surgery, obstetrics and gynaecology and intensive care. 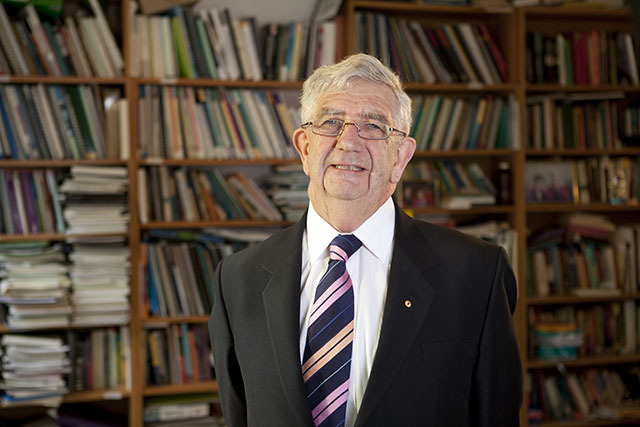 The first UNSW Chair in General Practice was established in an academic unit at Fairfield Hospital. This was followed by appointments of senior lecturers in medicine and surgery and conjoint appointments at senior academic levels in all the disciplines. The initial organisational steps involved joint planning and management committees with the Area Health Service and within the Clinical School and establishment of a Clinical School Committee, a committee for teaching, a Board of Medical Studies and a Research Advisory Committee. The Board of Medical Studies was responsible for oversight of undergraduate and postgraduate education and the Overseas Doctors Training Program. In the early period, Clinical School meetings were held on different hospital campuses of the Area Health Service so that the whole of the health service in the south west of Sydney could be part of the new academic enterprise. The transition from purely clinical services to an environment of teaching, research and clinical endeavour was achieved harmoniously. The leadership and collaboration of senior clinicians was outstanding as they welcomed the new academics and specialists to this part of Sydney. One of the most important early tasks was to promote resources to support research development. This was achieved through collaboration of academics with the Area Health Service in founding the Health Research Foundation Sydney South West and the Ingham Institute. There were other initiatives in medicine, cancer, trauma, epidemiology, general practice, health services research and psychiatry. The Area Board of Directors were enthusiastic about research and sponsored many community events to raise funds for research. Also there were joint arrangements with the University of Western Sydney to share teaching areas and to support research. The teaching efforts were supported by the establishment of an excellent medical library, a Clinical Skills Centre and audiovisual resources. Since this time, the presence of UNSW in the south west has grown significantly with numerous research groups based at the Ingham Institute for Applied Medical Research and a number of academic positions hosted by the hospitals across south western Sydney. Staff from south western Sydney play an expanding role in the research output of UNSW Medicine. In 2014, the South Western Sydney Clinical School will celebrate 25 years since the initial agreement and continues to work with the South Western Sydney Local Health District to further develop academic medicine in south western Sydney including large infrastructure investments in the Ingham Institute, clinical skills and simulation and videoconferencing equipment to connect the campuses across Kensington and south western Sydney.